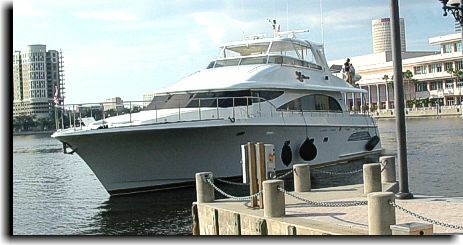 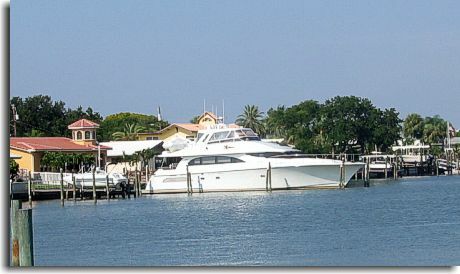 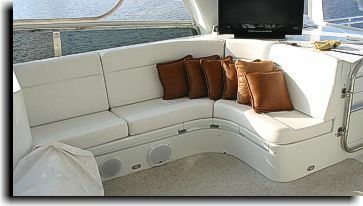 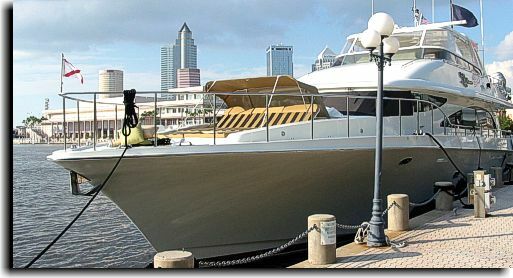 Catalina Custom reupholstered the sitting cushions on the flying bridge in a nice white UltraLeather HP. 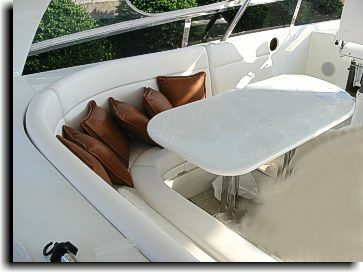 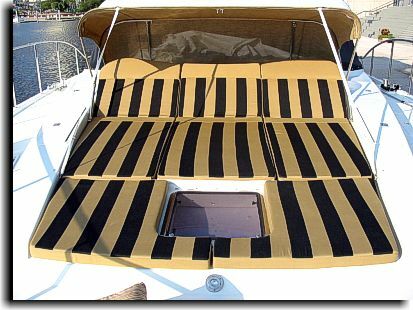 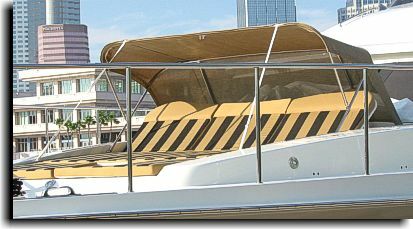 The bunny pads on the front bow and cushions in sitting chairs were done in a Sunbrella cloth. 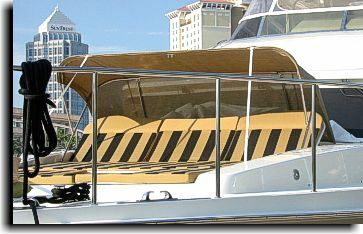 The sun shade was done in a designed Phifertex material.